Self-knowledge advances by developing an understanding of our elemental nature, and the four bodies of their expression. These bodies comprise our bio-field, or aura. The four elements are the fire of spirit; the air of our mental body; the water of our emotional body and the earth of our physical body. They can be known and understood through experience. There are many consciousness levels associated with these four bodies. These levels form an energy field around the physical body. Disease begins from the spiritual, works through to the mental and emotional bodies and lodges in the physical body. One of the greatest causes of human disease is our perceived separation from Spirit, from God/Goddess, the Source of all Light. It is a separation from divine love. When the heart is so afflicted heart problems occur. By changing our perception, life is enhanced. The five senses bring physical plane knowledge. Psychic sensitivity brings knowledge of the astral plane. The mind brings intellectual perception. On a finer frequency band, intuition, a higher level of soul expression that connects to the Higher Self, enables the revelation of divine purpose. It is then the abstract mind awakens to its purpose for incarnation. The soul is the medium through which spirit works. As we become more self-aware and conscious of our soul’s agenda, and work with it, we become internally lighter. Light = consciousness. Our body demonstrates this lightness of spirit. The soul’s nature is love and the will-to-good. When internal light manifests the individual appears to glow. The human spirit manifests as the will to live, to be, to act, pursue and evolve consciously. The essential qualities of the soul are what make each person so unique and different. Everyone has a unique psychology, with individual moods, desires, inhibitions, feelings and characteristics. It’s this psychology that sets up the vibratory activity of the body. Soul memories are contained within every cell of our bodies. These memories can often be activated as feelings and impressions when visiting places formerly known by the soul. For instance, Ashtara’s soul experienced memorable incarnations in South America and Tibet. These memories were reactivated when she visited some of the sacred sites of Peru and Bolivia. 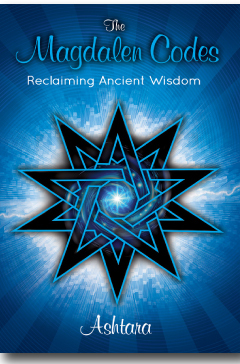 Information from Ashtara’s book: The Magdalen Codes, Reclaiming Ancient Wisdom.